Just About Anything: Who is Your CNN Hero? 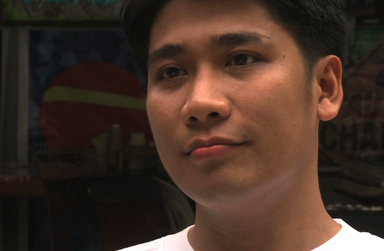 Mine is Efren Peñaflorida, who offers the Filipino youth an alternative to gang membership through education. He, along with a team of teen volunteers called the Dynamic Teen Company would teach children who have no access to education basic reading, writing, English and arithmetic. They also run a hygiene clinic so that the children can take a bath and learn how to brush their teeth. PLEASE NOTE: Voting continues until Thursday, November 19, 2009 (6 a.m. ET). There is no limit on the number of times you may vote for the Hero of the Year. Look for the name: Efren Peñaflorida.